Our consultants are highly experienced professionals each holding multiple certifications with various test publishers “best in class” assessment tools. These consultants are well past entry level paint by numbers interpretation and have developed the ability to find insights across multiple platforms and render such insight client context specific. Each of our consultants undertakes an exhaustive Shadow Consulting interpreter alignment process which guarantees consistency of insight across all of our consultants. Dion is a registered Psychometric specialist with an MSc (Hons) in psychology and a post graduate diploma in industrial and organisational psychology. He is the founding director of Shadow Consulting Ltd, establishing the company in 2002. Dion brings to his clients more than 18 years’ experience in psychometrics, in both the private and public sectors. He has dedicated himself to releasing the value of psychometrics in the fields of employee selection and development activities. His facilitation and presentation skills and knowledge in this area are exceptional. Karen is a Registered Psychologist who has completed a Master of Science degree in Applied Psychology and a Post Graduate Diploma in Industrial and Organisational Psychology. She has more than 15 years’ experience in the Human Resource industry and specialises in psychometric assessment and career coaching. Karen has a significant amount of experience providing employers with psychometric insights in the areas of employee selection and leadership development, along with training HR professionals in test administration and interpretation. Karen’s additional interests are in the area of employee wellbeing and she has been involved in research on employee and organisational resilience as part of the Employee Resilience Research Group at the University of Canterbury. 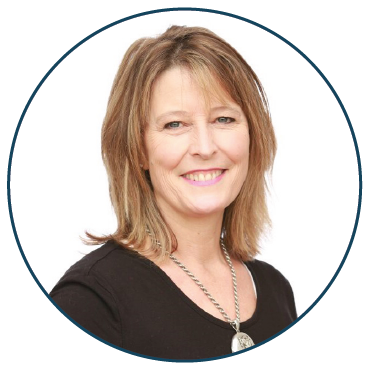 A Registered Psychologist, Justine has extensive experience in recruitment and selection, assessment, coaching and training. Justine holds certifications with multiple psychometric test publishers and specialises in psychometric and behavioural assessment for both selection and development purposes with special interest in the assessment of leadership potential. Since late 2005 Justine has worked as an independent contractor providing psychometric assessment and OD services to a wide range of clients and HR consulting practices. Assignments include interpreting psychometric assessments for selection and development across a range of functional areas, levels and industries. Justine also provides career coaching and transition advice, coaches associates and leaders, as well as recruitment support, in–house HR management, graduate programme design and implementation, and workshop facilitation. Justine is also currently employed as a Teaching Fellow at the University of Waikato with the I/O Psychology team, lecturing in Personnel Selection at Master’s level. Robyn’s key responsibilities include managing the firm’s day-to-day operations, finance and accounting, and monitoring our output standards. She has extensive experience in overseeing the quality of documents produced in the recruitment industry. Robyn has exceptional skills in this area and focuses on ensuring the quality of our documentation always meets our clients’ expectations.